Home » Contributor » Why Won’t My Car Start? No question, it’s something every car owner dreads; that time you put your key in the ignition and your car won’t start. Reality hits immediately. What should you do? Is it an easy fix and can you do it yourself? If not, who should you call? Here’s a list of things that will prevent your car from starting and what you can do about it. The first thing to do is to define what “my car won’t start” really means. The service techs at East Hills in Greenvale, NY, a Chrysler, Dodge, Jeep Ram dealer state that this is especially important if you are calling someone to help you, such as them. They will undoubtedly need the definition of “not starting” before they come out. 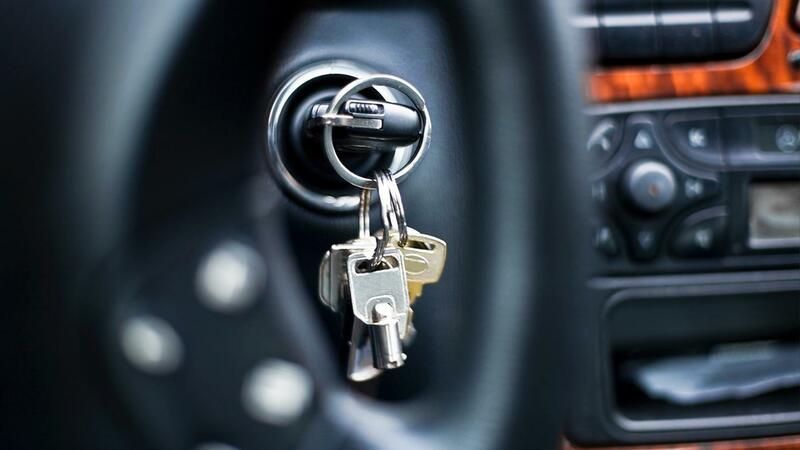 To diagnose the reason your car isn’t starting, you need to pay attention to what’s happening when you turn the key. There are two main scenarios. First is when you turn the key literally nothing happens. No noises, nothing at all. The second is when you turn the key and the engine turns over but doesn’t start. Let’s start with the first symptom: If you turn over the key and the engine doesn’t crank, that probably means there’s an electrical problem. This can mean a number of things. If your car battery has gone dead, turning the key in the ignition will do nothing. Or sometimes it may make a weak clicking sound. This generally happens when you haven’t used your car for a while and an internal light or headlights are left on. This is an easy one. The solution is to jump start your car with another car and a set of jumper cables. This doesn’t happen very often but sometimes battery terminals get loose and corroded. The solution to this is to pull them off the battery, give them a good cleaning and put them back on securely. Sometimes when a car won’t start you can just give the terminal a twist and the car will start. Many newer cars have lockout switches that prevent your car from starting if the gearshift isn’t in park or the clutch isn’t depressed. Make sure those conditions are met before you turn the key. Let’s look at the second symptom now; this is when the engine turns over rapidly but just doesn’t start. Usually this means that something to be wrong mechanically with your car. Here are five common reasons why your engine is cranking, but won’t turn over. Basically, without your ignition system must be working correctly or your car isn’t going to start. Your spark plugs or ignition coils must be functioning properly. It is unlikely that all your spark plugs and ignition coils have failed at once so the issue is usually the car’s computer (CPU). This can be because of a faulty computer or usually a faulty sensor that shuts the ignition off. This is a problem for a mechanic to fix. Maybe this seems too obvious, but an engine needs fuel to run. If you tend to run your tank with little gas in it, you may have gone just a little too far this time and run out of gas. At least you know the solution is simple to fix. I the old days, fuel pumps were mechanical things that attached to the engine block. Not any more, they are electric and they often fail in old cars. This is a problem for a mechanic to fix.